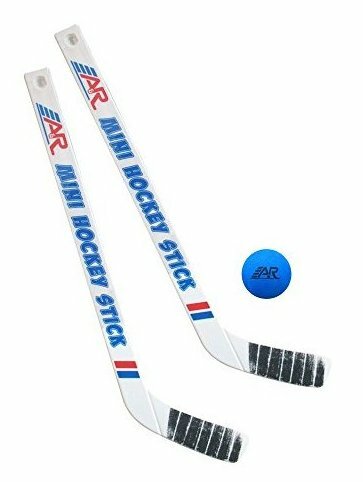 Durable high-impact plastic player mini sticks. Includes 2 player sticks and a soft foam mini hockey ball. Perfect for the junior hockey player. Works great with any mini goal set. From A&R Sports, the leading brand in sports accessories for over 20 years.